Nearly the entire country has plunged into a deep freeze as arctic air has been unleashed on most of the United States. Temperatures are between 10 and 20 degrees colder than what they normally are in the second week of December. Depending on where you live, cold is a relative term. 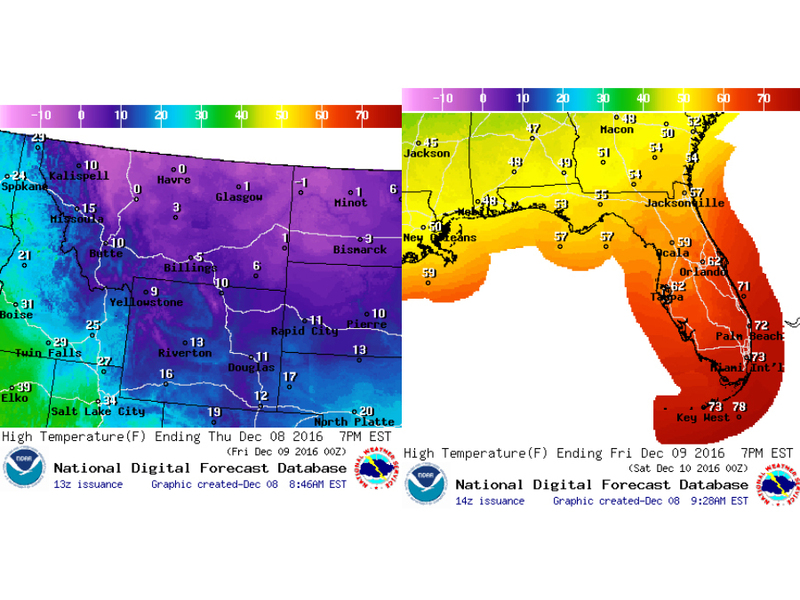 The rest of this week, that means multiple days in a row when temperatures don't make it to double digits in parts of Montana and North Dakota while parts of Florida are feeling frigid in the 50's. 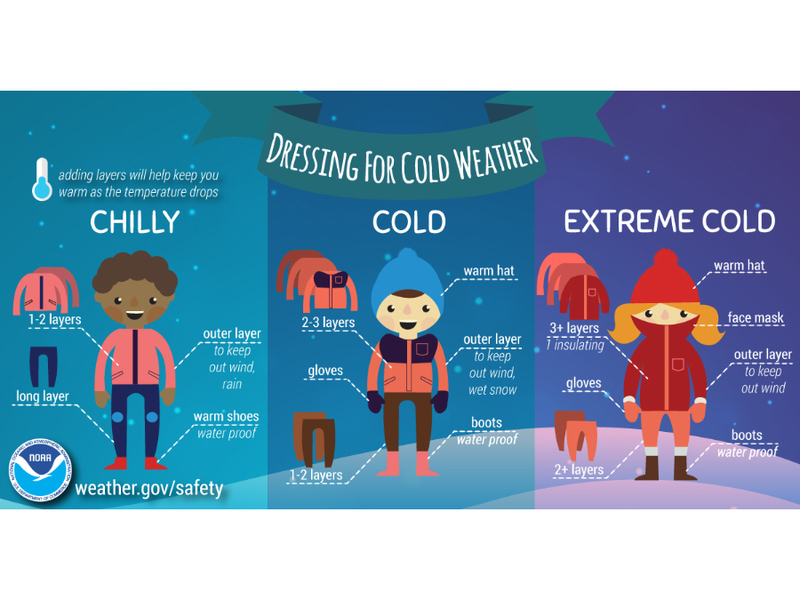 Regardless, cold is cold and you need to dress appropriately to prevent things like frostbite — damage to the skin tissue caused by extreme cold — and hypothermia — when body temperature drops to less than 95 degrees. Mom was right. Keep your head covered because every bit of exposed skin allows heat to exit your body. It may not be the absurdly high percentage your mom told you it was, but more skin exposed means more heat loss — and your head is no exception. The number of layers necessary is dependent on the temperature and your tolerance for cold. In other words, the colder it is, the more layers you'll likely need, but the innermost and outermost layers are most important. The layer next to your skin should be made of synthetic or other material that can transport any perspiration away from your body. Your outermost layer should act as a shell that can protect you from wind, rain and snow, which brings us to our next tip. If you're not dry, your body will stay cold that much longer. That means keeping your body dry from both the outside elements like rain and snow as well as from your own perspiration. If this rule is broken, you'll need to go inside and warm up that much faster. Don't linger outside for long. In extreme cold temperatures, exposed skin can become frostbitten in as little as 30 minutes. Wind can make it feel even colder by carrying away away any warmth your body may be trying to produce.